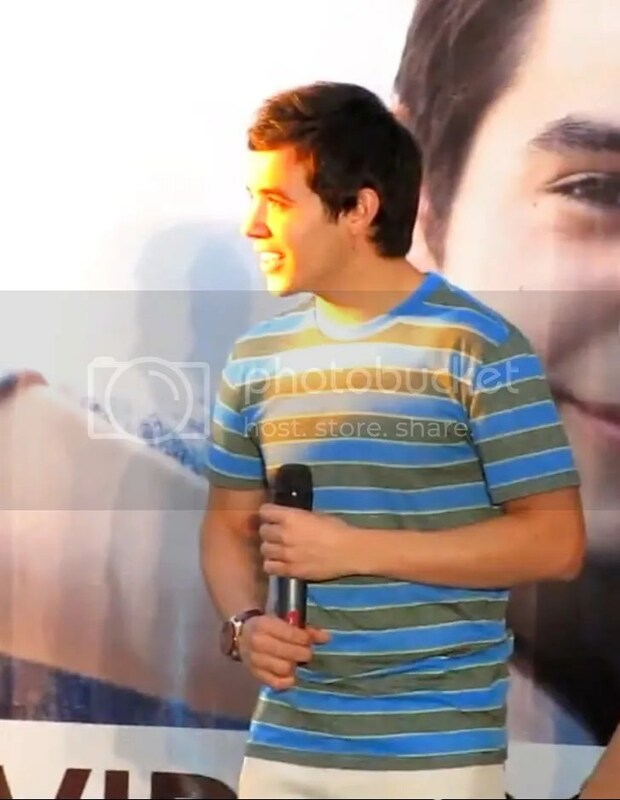 « David Archuleta ~ BEGIN. Here is a look at David in the studio while recording the BEGIN. album. He talks about where some of the inspiration came from with the choices he picked for the album for this next chapter in his life. 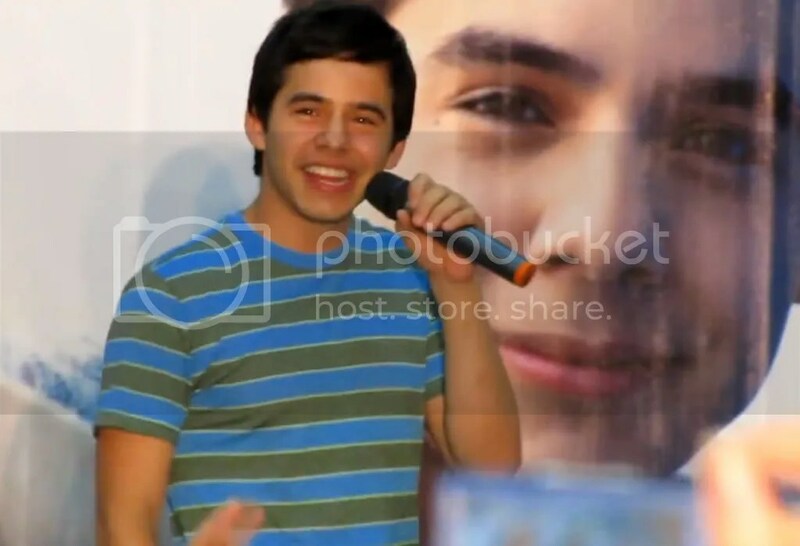 This entry was posted on Thursday, July 19, 2012 at 7:08 PM	and is filed under David Archuleta, music, Musical icon. 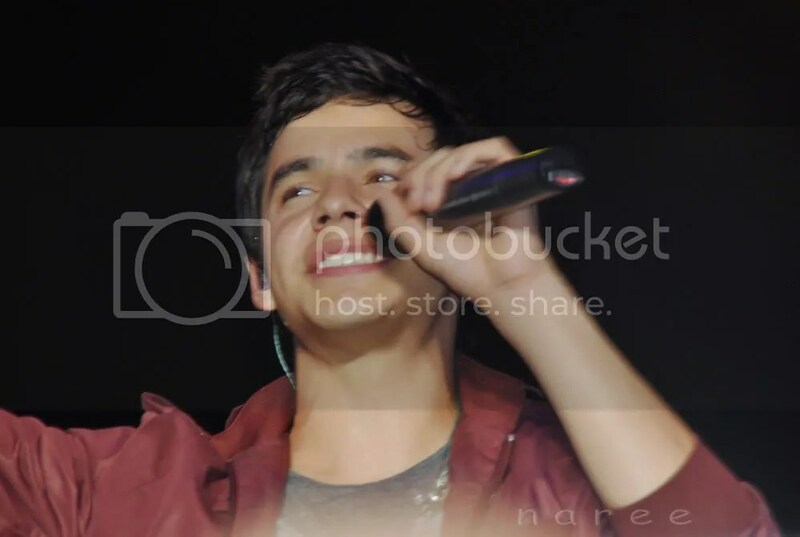 Tagged: Archuleta, Begin., David Archuleta. You can follow any responses to this entry through the RSS 2.0 feed. You can leave a response, or trackback from your own site. I feel that David will be expressing himself more with this album “Begin”. I can’t wait for its release. I’m sure it will be a success. Thanks to David, we can have many days listening to him. Yes! I love where his mind is now with his music! This is a wonderful confirmation that the master of music is in the house! It sounds to me like..there is more on the video perhaps?? Djafan…would you be faster with the news next time please?? But actually…You are as fast as lightening!! This is David! I have to say it! This is music to my ears! This is truly a unique video. 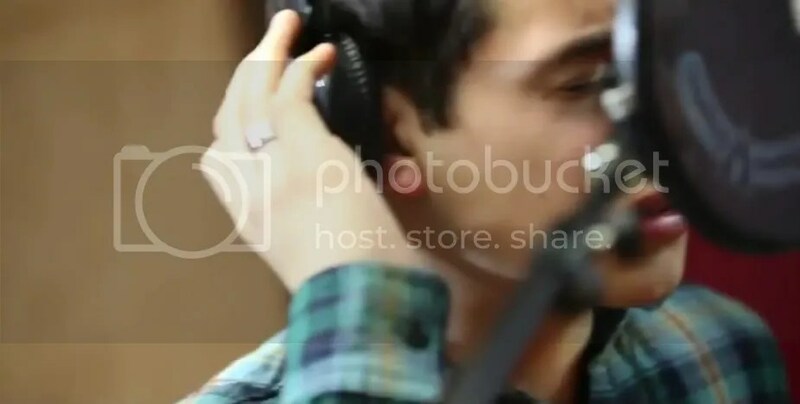 Seeing David in studio singing his heart out. The fact that he pretty much hand picked all the songs, new beforehand exactly what he wanted – and also that the title, formatting and all, were directly from him, his idea – makes me love the album even more. please excuse my typo. k? Bringing over my last 2 posts from previous thread. 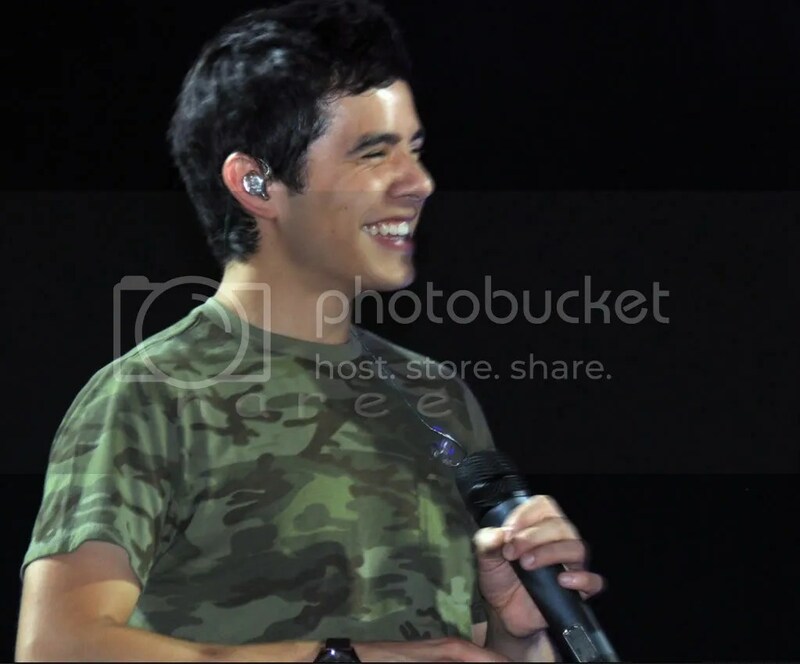 How about some sweet pic spam from Maylasia? OH my I do hope we are going to get a blog or maybe even an interview from Desert Books. They did a sit down interview for LDS Living, with David for the release of GCT, so there is a chance they were able speak with him about BEGIN. David’s pal Brooke White writes a blog about the birth of her daughter. SB, David drives the news!!! What an amazing young man! I never tire of saying it. Miss hearing him speak. 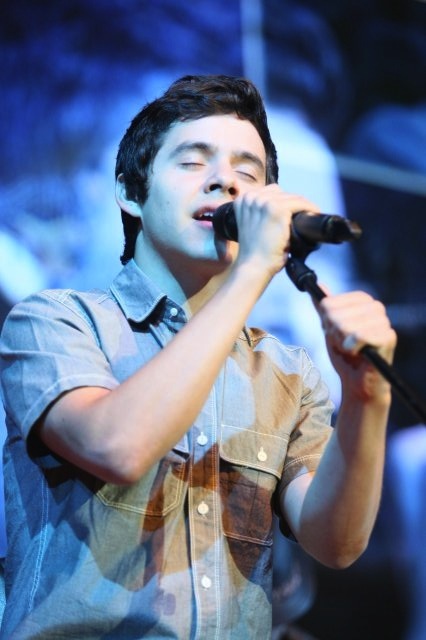 But rejoicing in the gifts of love he left for his fans and anyone else willing to open their hearts (and ears lol). 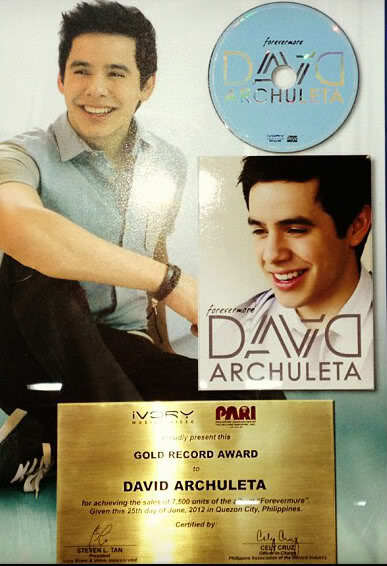 We know how great a humanitarian David is. We know how he looks at the world and the people who need compassion. I personally feel from the time that he sang Imagine, that this is where his heart truly is and not just for the time he is on a mission. 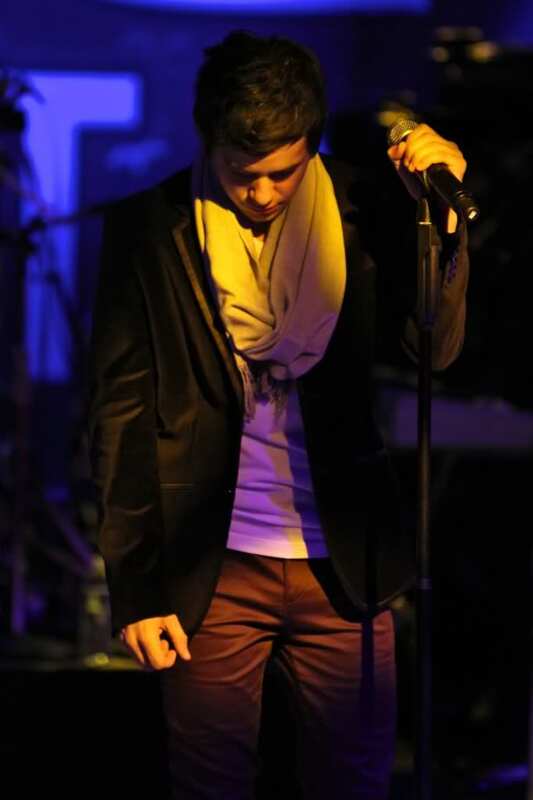 His self expression is on the level of some of the other great singers whose songs he is covering. He mentioned that the only other album of his that compares to this album is MKOC. Djafan, my best wishes to your Dad! Glad your father is Improving Djafan!! Thanks for the fantastic pictures Abrra!! #10 I am not certain which Christmas album he meant, perhaps it was the one with the Tabernacle Choir! SB – Since he was talking about his albums, and didn’t mention MOTAB, I am sure he was discussing his Christmas album, Christmas from the Heart. Drowning in a sea of David. More gorgeousness than a heart can bear. Since Abs brought the pics over, I brought my comment from previous thread too. dja, so happy to hear about your dad. Joining the resistance – cold turkey till Aug 7. What a special blessing to ‘see’ David tonight and hear the calmness in his voice, as he talks about BEGIN. This short video was easy going, easy listening, peaceful….I loved the background music. 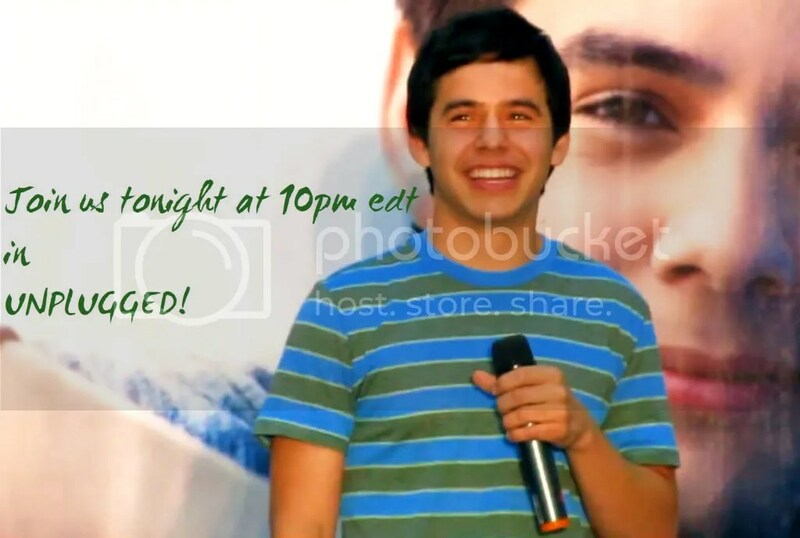 It was exactly 7 months ago tonight, when David made his mission announcement. 11.Heidijoy, YES it is beautiful! Brooke looks so happy and content, that’s a precious picture. Abrra, those are killer screencaps off the new video.Thank youuuuu!, and thanks for bringing naree”s fabulous eye treats over! gulp. never talking about him again until I bring up something like the snippets and she goes crazy again about him. Well – his voice. We watched him together on AI every week (via phone) and loved him. She also liked Cook. Bought his cd, too. I’ve had it! I’m not going to listen to those long snippets anymore. I dearly love the person who sent them to me but am slightly annoyed that they were released. Why were they released anyway? We already had snippets. I want the real thing and I want it now! LOL 18 more days to this wonderful gift. David sounds better than ever on this album; it’s just David’s voice, front and center, the way it should be. Finally free from the constraints of a label, he can finally sing what he wants, the way he wants. Love the new vlog! Very mature David. When I think back to the interviews he did for AI, he’s sure come a long way! That shouldn’t surprise me; when he grows he does it by leaps and bounds. SB#2 and Sky#18 More and more I think you’re right. Perhaps there’s more pieces to the video! Early morning shift checking in….releaving our Nightowl! Oh Sky that is funny…more in ‘snippets’…the well known word of summer 2012. Easy Listening = Contemporary Adult … Oh how gently he makes the shift so as not to make a panic in the streets! Dayzee…love those funny co-workers you are with! Wow Betsy, genetically disposed! Got to give that some thought! As Bebe said, you may have something there. Can he get a bit closer to the screen? Haha! Get ready for another Trending party tonight! I like to include links to David OS or any other relevant link in my trending tweets. 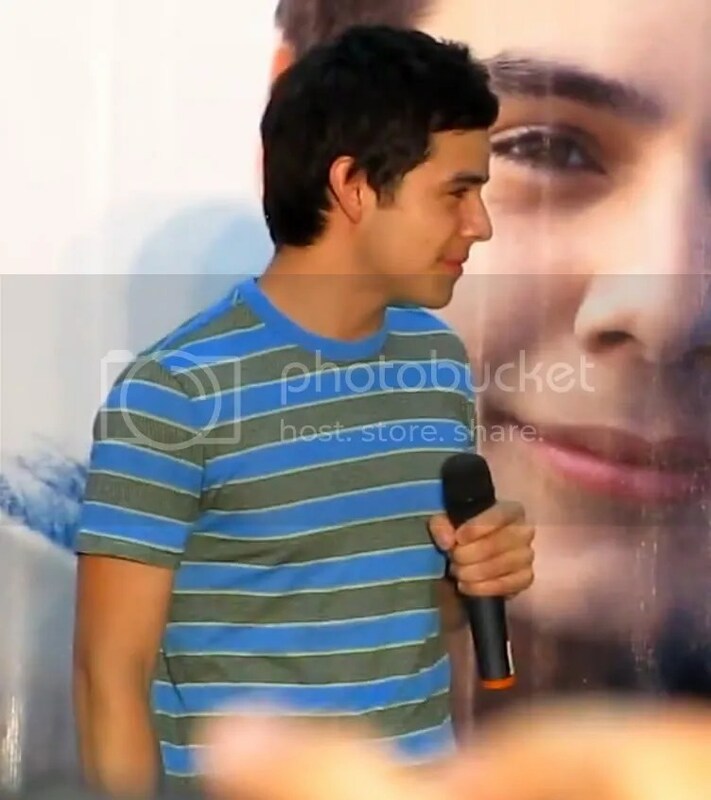 Also make sure to include @davidarchie in your tweets to make sure they reach the 1,167,552 followers. BEGIN. photo contest gallery. Check out the submissions so far and send one in, I am! Important Note: Because of the popularity of this contest, we had to create a new email address to handle submissions. 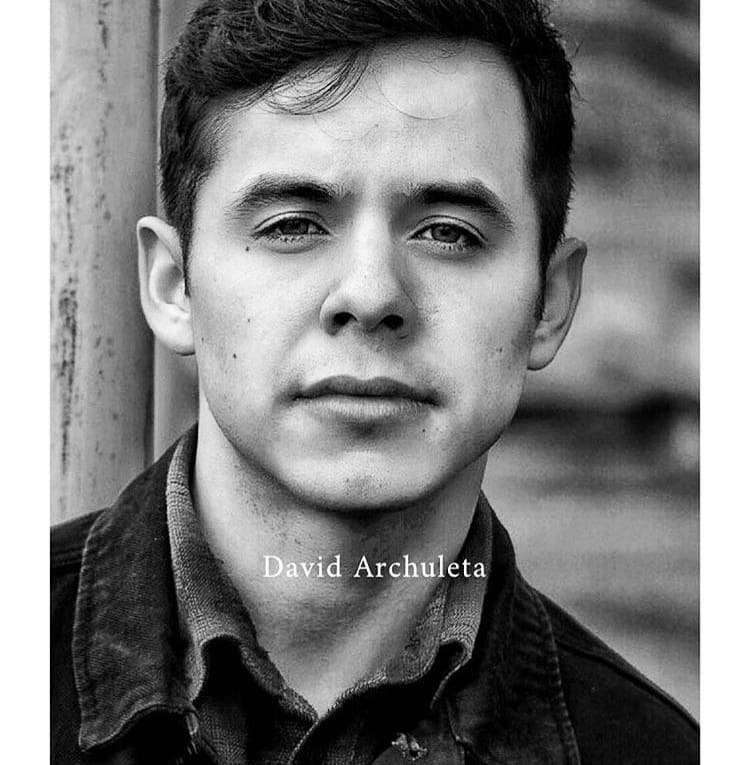 If you sent your photo to fans@davidarchuleta.com and got a “mailbox full” warning, you should send it again to contest@davidarchuleta.com. If you did not receive a message from the “Fans” address, keep checking the gallery and if your photo does not appear soon, you may resubmit it. Sorry for the inconvenience and thank you for supporting David and BEGIN. 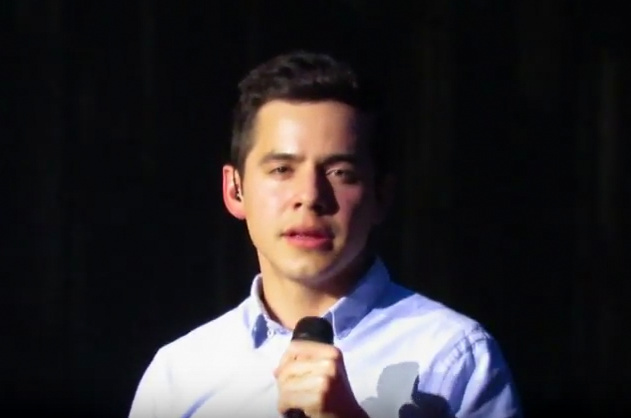 Love the short video of David talking about BEGIN. So calm and sweet. Hope there is more to come as they cut him off while he was still talking. 🙂 I was just over to the OS looking at the photos for the contest people have already sent in. I was struck again by what a wonderful group of people make up David’s fans. Very sad news of the tragic shooting in Colorado. My heart goes out to all the victims, families, friends and the entire community. There is talk of postponing the trending party tonight in the wake of it. Stay tuned. 27.will stay tuned Angelica, thanks. It is comforting to know that for every instance of needless insanity, there is somewhere a “David”. Life and goodness may seem fragile, grief is very real; never-the-less – we were made for life: to give life, to promote life, to believe in life, to nourish life. Like the words in many of the songs we have been listening to through DA, the precious blessing of joy becomes even more precious when seen side by side with mindless destruction. We become even more committed to upholding the face of our inner light to its’ source, both for renewal and as promise. Thank you, Angelica for all you do. I am glad the trending party is rescheduled. It’s not the right time. And enough with 24/7 attention to the wrong person in this tragedy. Djafan, best wishes and prayers for a speedy recovery for your dad. My daughter-in-law is in surgery right now to repair some problems from a surgery she had last week. By the time they got to the hospital this morning, it had turned into an emergency. My son is beside himself with concern. I wish I was with him to absorb some of his pain. ♥ I’m just glad that we are home from our vacation to help with his kids if it needs to be. Yes, Angelica, very sad news out of Colorado. Why does it have to be this way? Abrra, what day are we at? You haven’t posted it today on your comments. So sad to hear about the tragidy in Colorado, my heart goes out to those who effected by it, this is senseless. 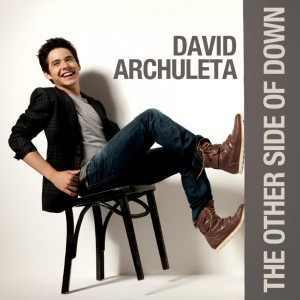 emmegirl14, betsy, it’s fun to hear about your sisters’ story, I think there are a lot of David’s casual fans out there who will probably buy his BEGIN at first listen, only thing is they need to hear it..they’ll come back. I stopped posting it cuz I keep seeing different numbers on other sites and some said the big number was depressing. I didn’t want to cause confusion. If you want I can go back to posting. Hoping your son’s wife get what she needs from today’s surgery. Keep us updated, ok? tawna, hoping all goes well with your daughter-in-law. Abs, I like it. The only digit I pay attention to is the first one, and when it changes, I get reeeeal excited. I live 50 mi north of Aurora, CO. An unspeakable tragedy. What a beautiful picture of Jason and his daughter. Thanks for including it. Isn’t it sweet? 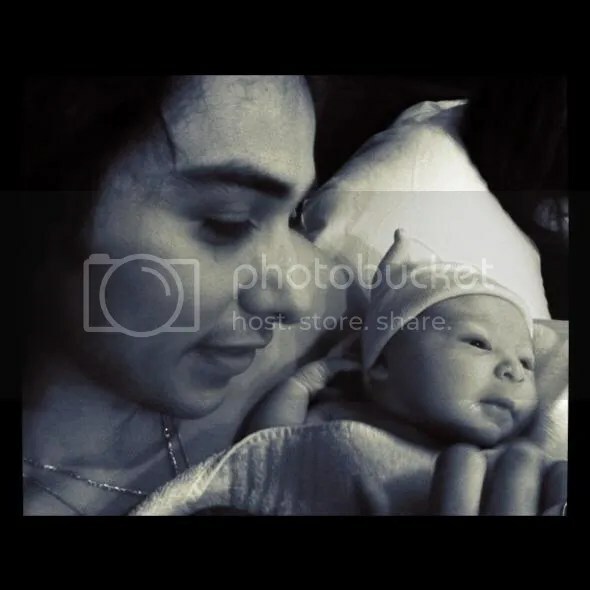 I look forward to the day when we can have a picture of David and his baby. He will be the best daddy ever! I never count the days… just the almost months. So by my reckoning, we are very close to being 4 months in. Which means: 1/6 of the way through! And… as everyone knows… one sixth needs only to be doubled (since we have done it once already.. that is easy!) to become 1/3!! And… everyone also knows (who has ever done their own cooking… how VERY close 1/3 is to 1/2. Tawna, hope all goes well with your daughter-in-law’s surgery. I like the way you think too Bluesky. I hope everything went well with your daughter’s surgery. Wishing her a speedy recovery. I look at it the same way. I am a numbers person and I like to think of it in fractions as each month passes too. I remember when it was 1/24, then 1/12, and now we are almost at 1/6. Time is passing. David, via Kari, is helping by doling out the goodies at a nice pace. 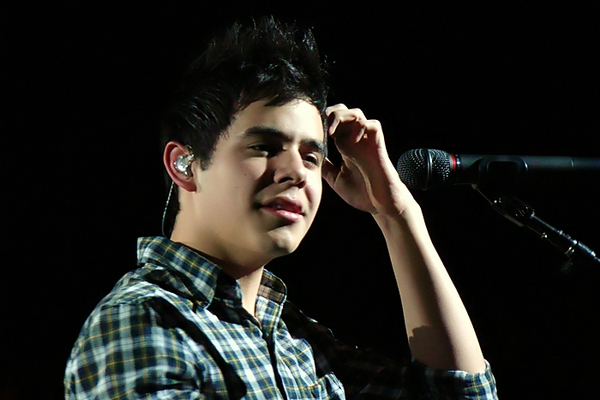 Random thought >> Did you guys read the article about David recording with just a sampling of music? I read that the finished music production was completed after he left. Well, just a thought here, but maybe it’s why this album came out so well. Perhaps Kurt Bestor designed the music as dressing for David’s voice instead of David having to make his voice fit the music. Not sure if I’m saying that right but I think you get my drift. IDK, like I said, just a random thought. LOL Either way, Kudos to Kurt Bestor (and David of course) for a job well done. I am loving everything I’ve heard so far. Nice figgerin’ Bluesky! I like that kind of accounting. Abrra, “I look forward to the day when we can have a picture of David and his baby. He will be the best daddy ever!” So true!! Can you imagine the smile on his face?! I just don’t know that we will see the “quiet” look that Jason and Brooke have with their precious little ones. I’m of the thinking that David will have that “crinkle-the-corner-of-his-eyes” grin, that announces “look who is mine”, as he holds his most beautiful little one! Thank you all for your wishes for my DIL. She is out of surgery and in her room. She had a lap band removed last week that had eroded a hole in her stomach. They repaired the hole, but it was too thin to hold and broke open, filling her abdomen with fluid. They went back in today and took 4.5 hrs. to do a major repair by using a patch and also found a hilatal hernia in there. Sooo, she will be there for a few days, and probably be having a strong dislike for life for the next few weeks (I think I would be). If I could convince her to be a David fan it would be much more pleasant for her (we all know that is a given). Abrra, I only pay attention to your numbers, and I like to watch big numbers get smaller. 🙂 Thanks for bringing it back. WARNING : I used 90 sec clip of Broken as the music in the link above , DO NOT click if you want to be spoiler free!!! Just beautiful. Thank you. I watched without sound and it was still very moving. So saddened by the horrific news in Aurora. My heart goes out to the victims and their families. Your words are comforting. Thank you. Prayers and best wishes to your daughter-in-law. Glad the surgery went well and wishing her a speedy recovery. I think I read the article but not sure. Can you bring the link here? From the snippets, the music seems to complement David’s voice which is what we ultimately want. 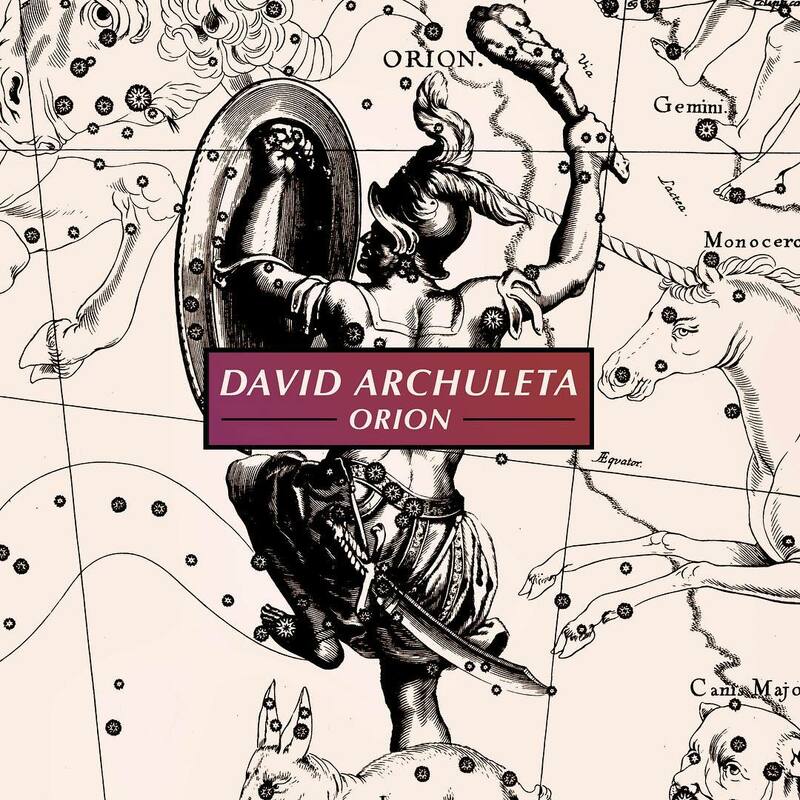 I like the sound of the album; the orchestration, David’s background vocals and of course his stunning voice, front and center. 17 more days! I was looking forward to watching your video but when I clicked on it, there was a message saying that it’s been removed. 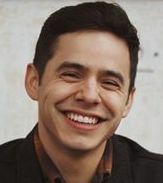 I was over on David’s Official site just now and was impressed to see that so many BEGIN. pics have been submitted. Bebe, sorry, still don’t quite have the hang of things when it comes to quoting things. I looked and found the link. It’s an article on FanScene. Dean Kaelin answered some questions about David recording. IDK if I’m right about this. 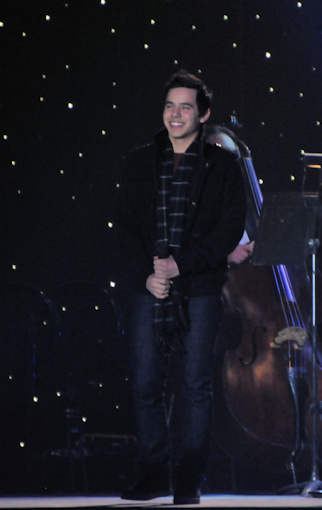 But the thought that the music might have been tailored to fit with David’s beautiful voice makes me happy. I really like that idea. Great job on the video! The pics were so heartfelt. 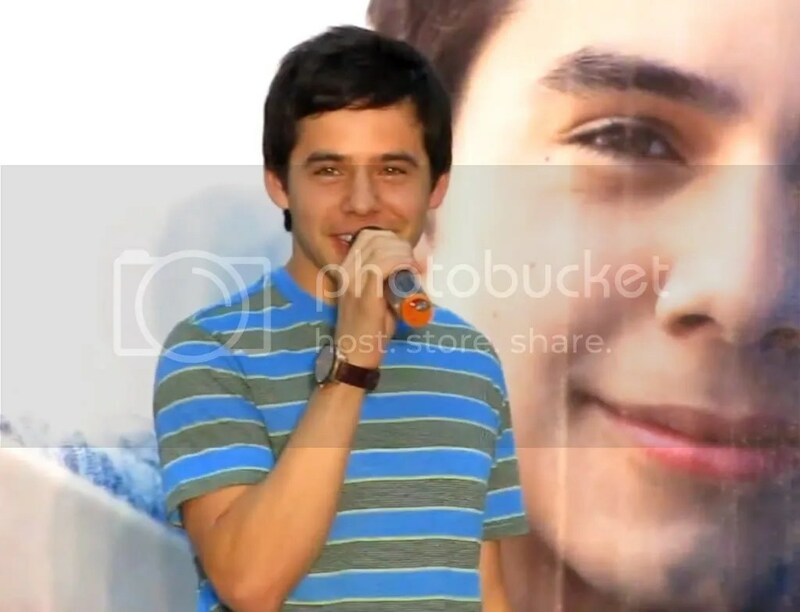 “Dean Kaelin shares on David Archuleta and BEGIN. I am afraid that I won’t be very helpful on this at all unfortunately. Kurt and John are great and very talented, so I am sure the album came out well, but I haven’t even heard the finished project yet. My only involvement really was warming up David and keeping his voice in shape throughout the very compressed recording process. David’s part of the entire album was finished in the last 2 weeks before David left on his mission. In fact, even on the Monday before he left he was doing some finishing touches. Kurt Bestor and David selected the songs to record. Kurt put together quick arrangements so that there would be something for David to sing to. Then David sang all the songs. After David left, Kurt and John finished the arrangements and orchestrations, mixed and mastered it and Deseret Book put together the artwork, CD duplication and marketing. 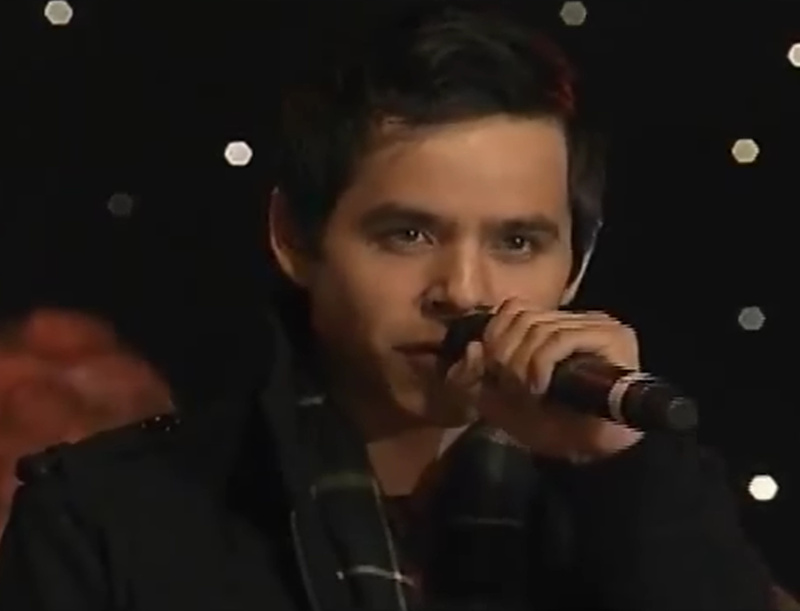 For David’s part, he did an amazing job. On the recording session I attended David sang the song 4 or 5 times so that Kurt would have different takes to choose from. I felt that any one of the takes could have been used for a finished product. David’s tone, interpretation, pitch and control were so great that each take sounded like it was ready for the album This is EXTREMELY unusual in today’s music world. Most singers go over and over a section trying to get it close, then the engineers use electronic tools to tune the voice and make it sound good. The fact that David did this so quickly will definitely give the album more of a ‘live’ and an honest feeling. It isn’t ‘manufactured’ and perfected by electronic gadgets, but David’s soulfulness, emotion, passion and interpretation come through clearly and naturally. I am quite certain that his fans will really enjoy it. My very best to you and all you are doing. Thanks, Dean! As always, your insights are like no other. Keeping David’s voice in shape those last couple of weeks, with so much going on is contribution enough. Thank you for that. Thanks to Janey from AFS for sharing this. Thanks to MT for the great find! Pocoelsy…a beautiful tribute video. Just the start of seeing how wonderful and appropriate the song ‘Broken’ is for our society. From ”Imagine’ to ‘Broken’ and now we can see that his album has a great destination. Tawna, Prayers for your daughter in law. Glad she made it through surgery alright. Prayers for the people in Aurora,Colorado!! Thanks for the tribute Pocelsky. Snippet free til Aug 7, but appreciate the gesture. The tragedy in Colorado has left me with a continual lump in my throat. 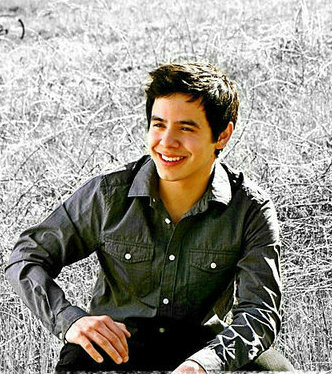 For the first time since David has been gone, I “miss” him, really miss him. When the world gets crazy and wrong, I immediately think of David. I miss his guidance and strength. David reminds me, just by being who he is, that individuals go wrong, the world isn’t “wrong”. My moto the last four years has been, “What would David do, what would David say?” to guide me through situations that are tough. I miss him. Yet, I know what David would say, and it helps. I am heartbroken at the events in Colorado. Such a senseless tragedy. My heart and my prayers go out to everyone affected. from Sunday July 15 has been around an idea in my head. Still I have in my memory every gesture of david, every smile, every song, every pause. It is something to fill my soul in difficult times. And I will draw on those beautiful memories when needed. But this idea today took shape, almost a week later. I think I was a privileged witness of the first concert of david in Spanish. Spanish songs will we have when he returns? His Spanish was heard very well, is lighter and safer. There was no word spoken or learned by phonetics, he knew the meaning of every word. 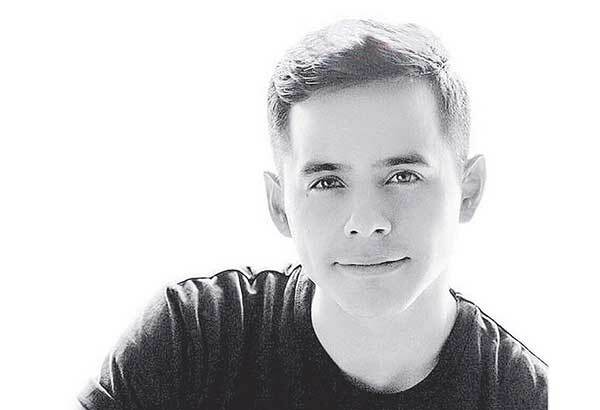 Gladys, your writings about David are so simple and so beautiful, and simply beautiful. Tawna prayers for your dil. Dad is progressing slowly but mo in the right direction. What a horrific tragedy in Colorado. Praying for all affected. Pocoelsy. What thoughtful tribute using Broken, what a healing sound. Gladys, just reading your words about last Sunday prove at least to me that it was no coincidence that everything aligned itself just right for you. I want to thank Andrea for her help with translation of Gladys recap. Working on it today! Yes, you were, Gladys! Absolutely! Since you couldn’t come to see David in the states, very simply, he came to see you. By the way, do you feel like you’re floating or walking on air or having any other euphoric sensations? This sometimes happens after meeting David. every time I think about David, I think the best day of my life. I wanted to see him again, I miss him a lot. 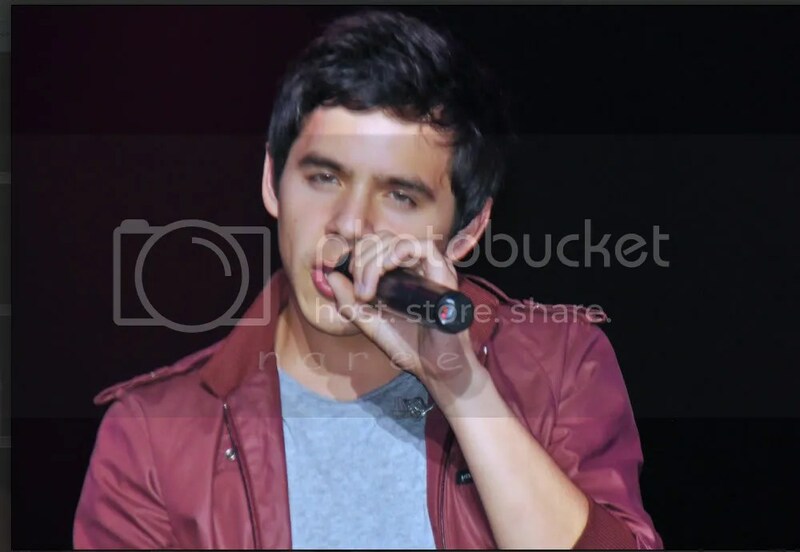 I think I suffer from post-david symptoms. I imagine all the things I could say, but I got lost in his eyes. Oh Gladys — your absolute joy at seeing, hearing and actually meeting David comes through in your words, so delightful to read. We are all looking forward to your full report when it is posted. Talk about a ‘precious gift’, that is you, Gladys, sharing such a special experience with us. Oh my, how we thank you and love you. Guess what I just found in my mail box???? David’s COS sent by Abrra!!! Thank you so much Abrra!!! And those surprise CDs – wow – you are too good to me. Now I can have David’s gorgeous voice singing “live” in my ears while I read his book. 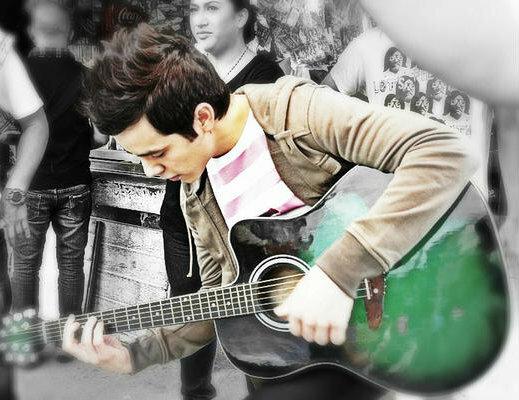 And thank you Bebe for the sweet little David heart. I will use that as a bookmark for when I read COS! Once again thank you Abrra and Bebe! I will be busy reading and listening while I wait for BEGIN. Glad it arrived! It was fast 🙂 I was happy to send it and the Cd’s. Do you mean that you were a recipient of an Archugaze? Unplugged was super fun. I can’t believe that video was played for 2 whole hours! Are we going to see it again next week? LOL. Good morning everyone! So excited about BEGIN. Such a great gift he left for his fans. I just hope that it will be successfull enough to make him money so that when he returns, he can continue with his career and be able to get a tour going in 2014. 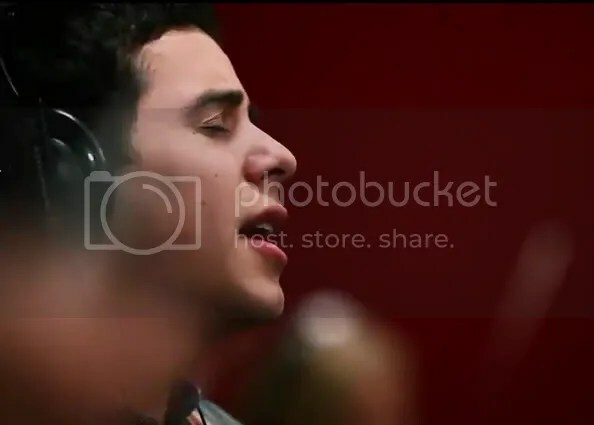 BTW, I’m having trouble getting into the Fans of David Archuleta site, I’m wondering if something happen to that site or if it’s just me. Great time in Chat!! So happy for Gladys. So appreciative of you Abrra for the video and organizing everything. Thanks all for being there. Happy Sunday!! cq~ I couldn’t view FOD either. Annmargaret, it did come back, but now I’m unable to open. I think the site is having some problem. Hope they fix it soon. 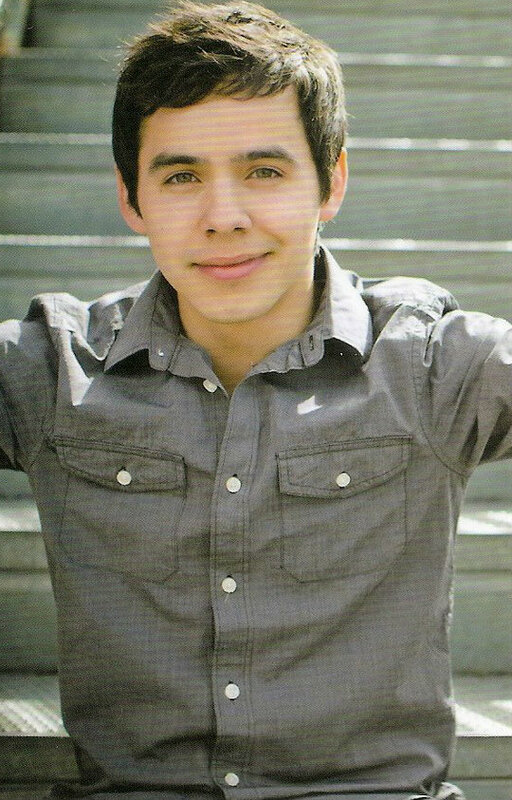 David needs as many active sites as possible and that site, like this one, is so good for David’s career. Josh Bradley was born on July 15, the same day the devotional music of Chile, is a coincidence? That day has special meaning, may be the beginning of something new in the life of david? maybe the songs in Spanish, I know that were were religious hymns, but time will answer. Love Holy Coincidences Gladys!! :)) Thanks for sharing your memories and thoughts!! Enjoyed sharing Gladys’ video for 2 hrs. 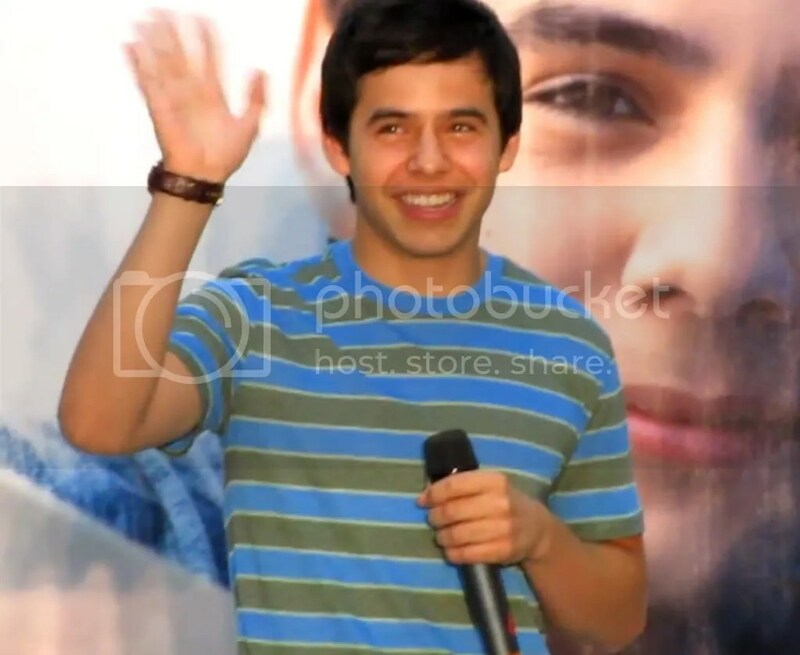 It was so good to see David and that smile again and again!lol Loved it all. 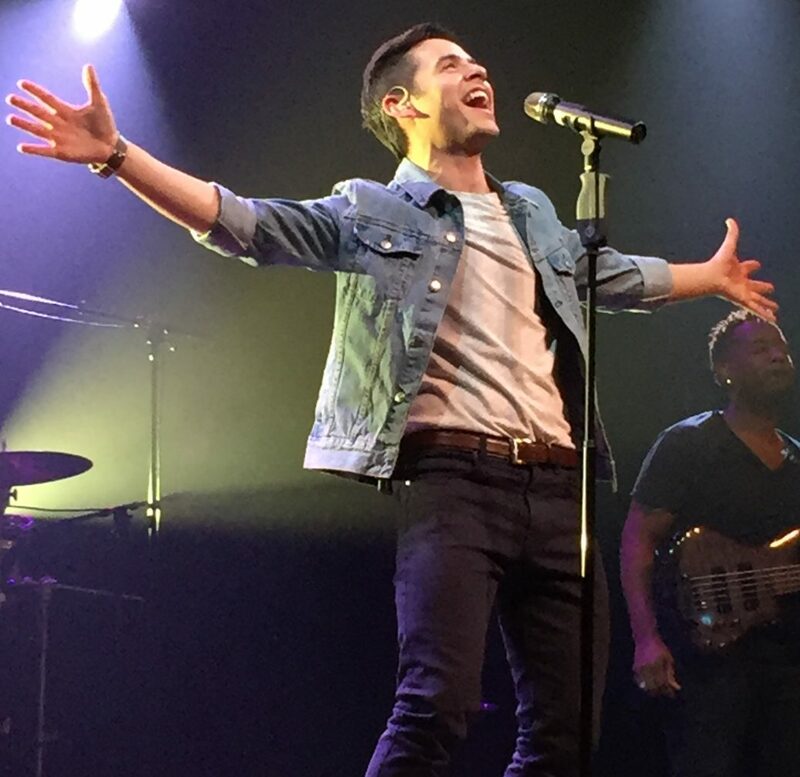 I really think you made history seeing David in his first “Spanish concert”!♥ Just made my heart swell seeing how excited you still are even after 2 weeks from meeting him. Believe me, it never goes away! He is habit forming and you just want to see him again and again! Fenfan, we are lucky to have Abrra, for sure! Those cds she sends out are the best! Enjoy the book, I’ve read it twice and go back to different chapters for “reference”! Thank you Abrra for the mgr of the video. I woke up this morning with Broken going over and over in my mind. Just love that song and just 2 more weeks to hear all of it! I loved that HANDSOME video 🙂 I might have to clip the audio of her repeating it x4 and use it someplace. Sorry for your “car sick” feeling after a few views of the special video. No one wanted me to change the video. We have a habit of studying him until it becomes part of our DNA. I watched a video of David at a mall appearance last year in Asia and had to make some scream caps, naturally! 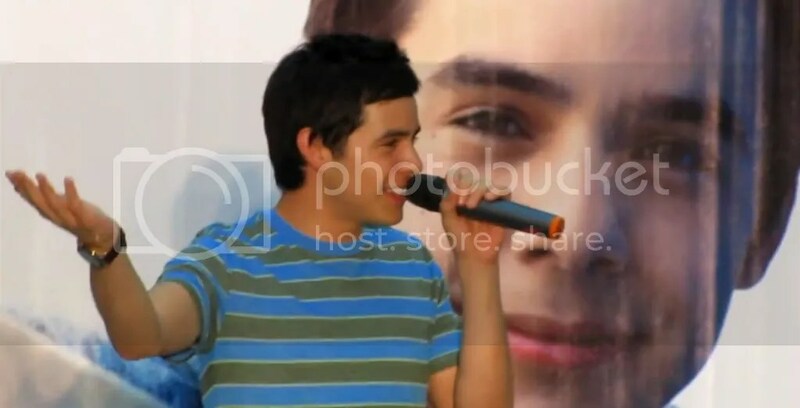 Having his HUGE face as a background, looking over his shoulder, is the best! Thanks for the scream caps, those are great! I really like the golden-faced one. I added the new vlog to this post beneath the first one. I told ya there would be MOAR! 🙂 Love his mature demeanor and soothing voice on these. I can’t wait for more “David speaks” videos. I want to string them in to one long one and then make am mp3 of that. His voice is soothing here and it shows an inner peace with his decision, despite the rush to finish the CD and pack up to go to the MTC. 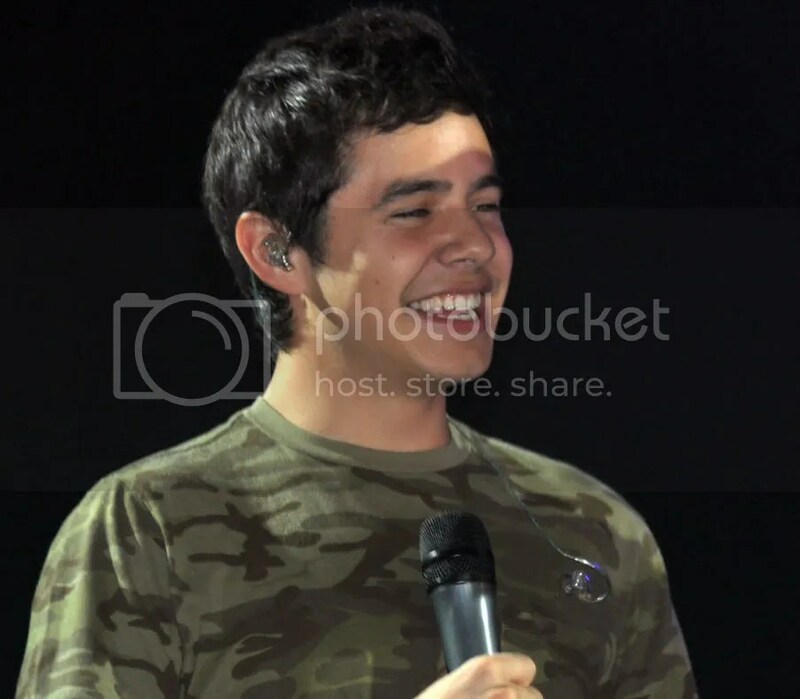 I had to catch the scream cap you mentioned because it looks like David’s inner glow was leaking out on stage. 🙂 That might be a first! OOOOOOH! 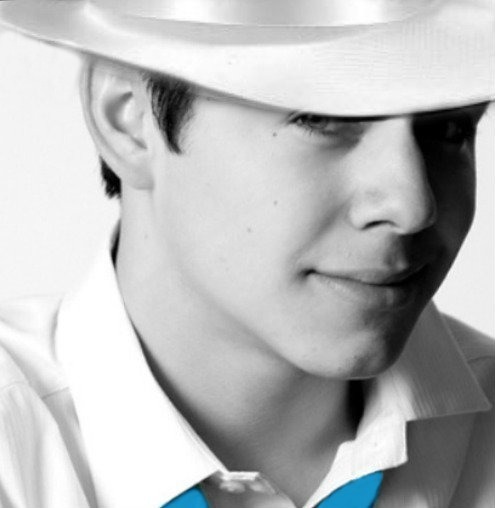 this is screamcap Heaven♥ Thanks Abrra. May have to change my desktop pic out again:)) What to do, what to do!? 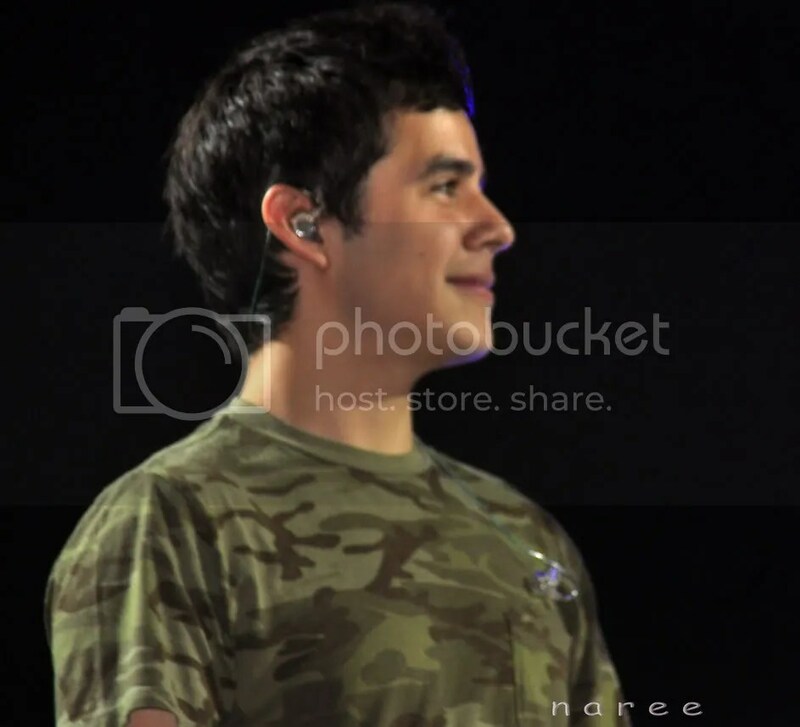 Angelica, I love the one with his face bathed in that golden light,its gorgeous. the shadows on his face and oh wow ,look at those teeth! I like a lot about that one. I missed the livestream on Sat since daughter’s back to spend weekend with us and what a nice weeked we had, I’m so happy for Glady, seems she’s still on cloud nine hehe. 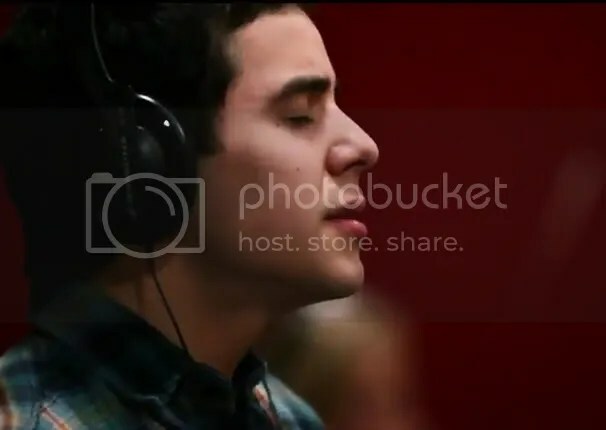 Thank you all for your nice words about the tribute vid, my intention is to comfor-calm-sooth those who effected and David’s voice sure deliver, what a voice he has. 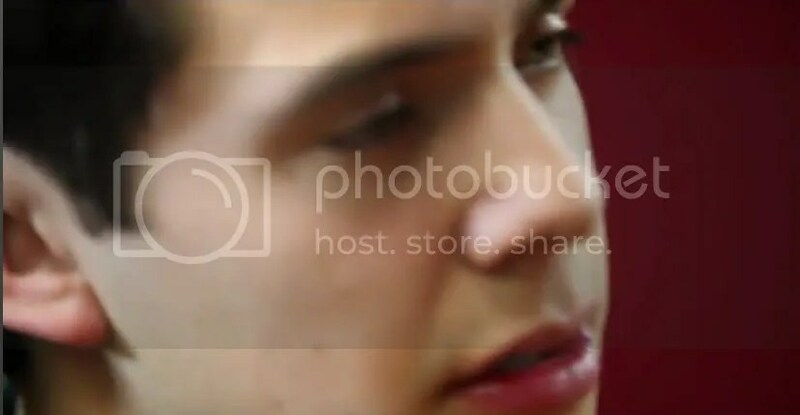 I think that everyone knows this but I have to say again that David’s eyes are so beautiful…looking at Abrra’s last scream cap, I’ve been staring at that pic for a while now…sigh..
New vlog!!!! Isn’t that the most soothing voice ever??? David looks so at peace, not overwhelmed, decision had been made and it’s obvious now that it was a decision he needed to make. More Pre-order Options from the OS! And join ology for David!!! I loving this for promo! by The Ology Team . At the start of this contest we saw a lot of post supporting Jessica Sanchez. So it shouldn’t come as a surprise when you look at the rankings and see her sitting at the top, ranked first. Both Sanchez and Archuleta gathered the most support over the weekend. In fact, they both are receiving an extra 1,000 points because they were able to get 100 members before midnight, today. Even better news… you all still have the chance to get the same generous gift! Time is running! So get out there and get that support! As of right now, it’s a super close between Archie and Sanchez. It’s only a 60 point difference. Lambert is in third, but he’s pretty behind in numbers. All the other singers come in behind Lambert with some very low numbers. THIS CAN ALL CHANGE. This is just the start of the contest. Please, please, don’t quit! Get together that fan-army and SUPPORT your favorite singer. Friend us on Facebook at http://www.facebook.com/ology.contests for the latest updates and other contest giveaways! 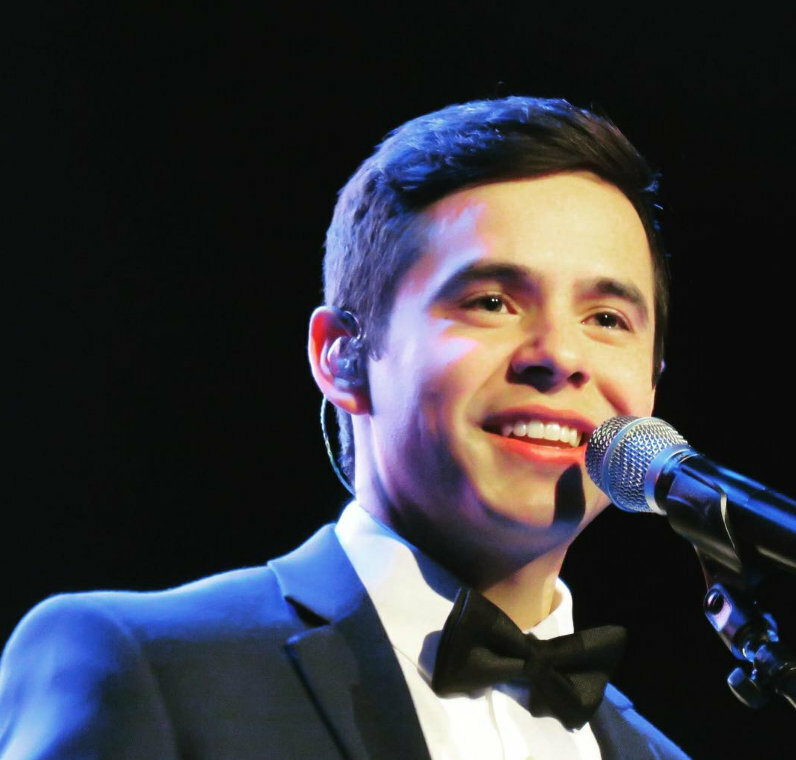 The “back-to-school” auction includes framed magazines signed by Katy, Bruno Mars and Alicia Keys; microphones autographed by Kelly and Jennifer Hudson; a guitar signed by Katy; and CDs autographed by Adele and David Archuleta. Bidding runs through July 30 on eBay.com/Grammy. A portion of the proceeds will benefit the Grammy Foundation’s Grammy in the Schools programs for high school students. Loved the video they used in this article! Love that they used David in the video for David. I can’t believe they used his whole segment! Awesome. Maybe Ms. Parker is a fan! 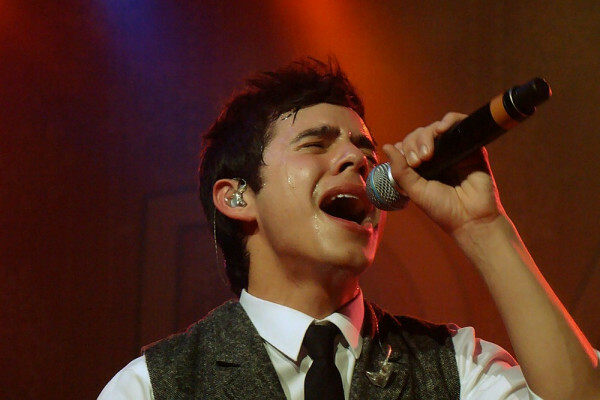 But it’s a great reminder of just how beautifully David sings. 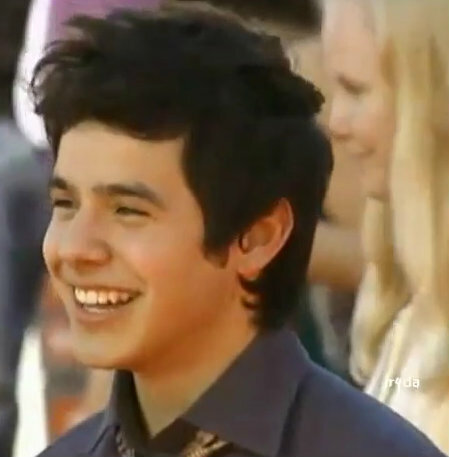 That’s one of my favorites from his time on idol. A voice over is someone speaking I believe djafan. Great news that they’re gonna do promo for the album!!? After watching Part 2 it hit me that David is a man who knows what he wants and what’s important in life. I’m so proud of him for having the courage of his convictions and for following what was in his heart. Oh, I just watched that vid and read Lyndsey Parker’s article. Don’t think she’s ever been a fan, MT. I recall her being a big Cook fan that season but she knows talent when she hears it. I use to read her articles faithfully during season 7 and sometimes after because I like her writing. So they got Mariah after all. Last I heard, another diva, Aretha Franklin had declared herself very interested in the gig and Mariah was too expensive to get. I really have to agree with Parker that she is a good choice. Finally they have someone judging who can actually sing. And of all the mentors on season 7, I think she gave David the best piece of advice, which was not to be afraid to use his falsetto. Boy, did he take that to heart and run with it! And aren’t we all glad? Thanks, Mariah! Thanks for the ology.com link dja, would love to see him take this one! Watching this latest interview segment – makes me feel all kinds of peace and calm inside. ♥ him. Hi everyone! This is my first time commenting on this site. 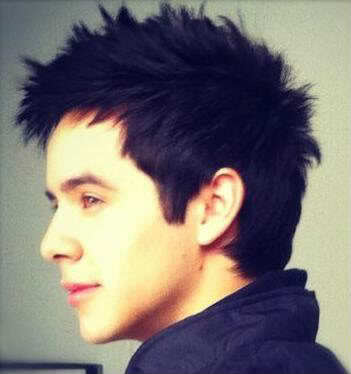 I’m Jenny, I’m a huge David fan from California. I give you welcome to this beautiful place, I assure you never want to leave. I hope you’ll continute to comment. I didn’t know she wasn’t a fan. During AI I didn’t read blogs. 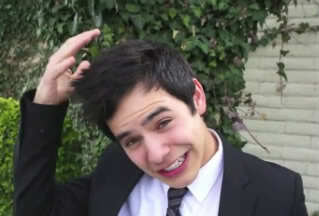 Well, for someone who isn’t a fan, she sure has a whole lot of David in that video. 🙂 Nice! And Voice Overs mean Promo! Don’t know what it’s for, but it’s nice to hear they’ll be doing some promo for BEGIN. Welcome Jenny! I’m sure you will find this is a good place. Abrra, you really put the SCREAM in those screamcaps. You always find the bestest ones. David sounds so mature in the new vlogs. MT, that “can’t touch for 2 years” struck me too. He has become so adept at relating his thoughts. Angelica, when Mariah mentioned the falsetto you could see David absorbing that idea. And then to listen to it come to fruition was just plain fun! David helped me paint my house this weekend. I know he is far away in Chileland, but he was so kind to leave us so many treasures. Isn’t it always so much easier doing a mundane task when you have a pocketful of David? My tiny Ipod is overflowing with all I need to make a chore more pleasant. LOL Well isn’t he the hard worker! He’s going to help me paint my bathroom this weekend too! I am studying law with David, I think he and I learned everything about Roman law. Dayzee, MT and Angelica, David helped me start to set up my classroom set up today! Sure made the time go by easily and calmly. Think David’s good at cleaning out closets? JennyJ89 ~ Welcome to The Voice!